Europe's Experimental Union challenges conventional writings on European integration by situating the analysis of the EU in the context of changing patterns of political and economic order. The authors conclude that the union is not evolving towards a federal superstate, but rather, is an arena of deep economic integration governed by a prismatic polity characterised by innovation, experimentation, pragmatism, decentralisation and devolution. 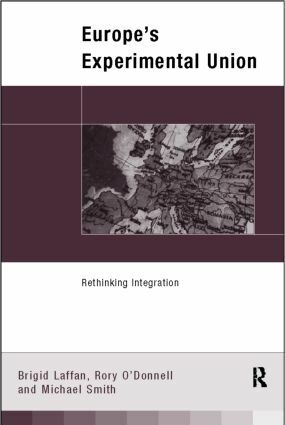 Although it may seem unsettleed, this book reveals that in fact the experimental nature of the EU enablwes it to respond to multiple agendas and Europe's diversity in a flexible manner.